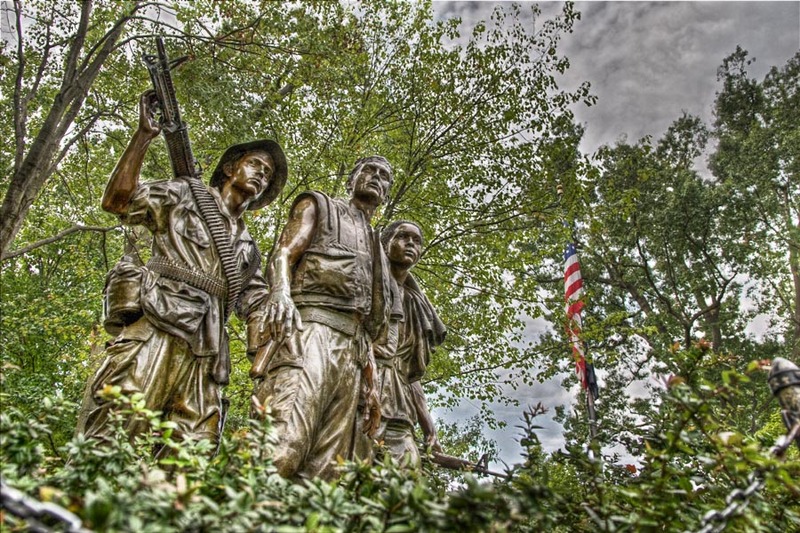 The vietnam war memorial is a soul stirring place in Washington. Along with the famous black wall with the 50000+ names, there is also several bronze statues standing in the area under the trees. The detail level of the statue is quite high as you can see here (check out the belt of rounds around the guy on the left). A good piece of work.